Minus the bum ODEEEEN heard round the world, by and large, the voice cast for Odin escaped the debacle unscathed. Perhaps the most well-established voice actor up until that point, Toshio Furukawa, managed to find success in Patlabor and Dragonball Z among others. Fellow Mobile Suit Gundam voice actor, Han Keiko, had to deal with Roots Search the following year before moving on to better things. As for Norio Wakamoto, he went on to voice M.D. Geist. But that’s okay, because he’s Norio Wakamoto and he knows Shaolin Kung Fu. Odin’s team of music producers and composers featured talent like no other. Yet out of all the composers, only Masamchi Amano stands out above the rest as being truly successful post-Odin. The Japan Academy Award nominee went on to compose all seven Giant Robo soundtracks, in collaboration with the Warsaw Philharmonic Orchestra. Resident Yamato composer Hiroshi Miyagawa never strayed too far from the original franchise. He was musically responsible for all three original Yamato TV series but more or less disappeared from anime after Odin. He died in 2006. As for legendary anime composer Kentaro Haneda, Odin very well may have destroyed his career. This was the man known for composing the music for Super Dimensional Fortress Macross, Space Battleship Yamato Final, Barefoot Gen, Macross: Do You Remember Love? and Space Cobra. He had minor success in anime after 1985, working on Project A-ko and Onii-sama e. He died of liver cancer in 2007. 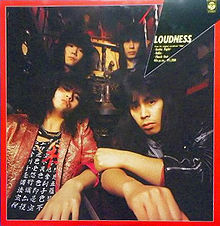 1985 was also the year heavy metal band Loudness kicked off their American tour, eventually becoming the first Japanese metal act to sign under a U.S. record label. Their EP, appropriately titled Odin, was also released the same year in Japan. All the lyrics were written by lead singer Minoru Niihara whose angelic voice will always be remembered for calmly easing away our sorrows as the Odin credits began to roll. The original line up experienced great success both in Japan and America until they went on hiatus in 2008 after the death of drummer Munetaka Higuchi. That’s twice now that the curse of Odin has claimed a victim through liver cancer. Out of all the animators who worked on Odin, only Yoshinori Kanada, Tomonori Kogawa, and Shinya Takahashi had major staff positions post-1985. Having worked on Birth the year before, Kanada did key animation work for a number of directors including Miyazaki and Rintaro. He died in 2009. Similarly, Kogawa found success as one of Sunrise’s most prominent staff members in the early 1980s, having acted as chief animator for Tomino’s Space Runaway Ideon and later Aura Battler Dunbine. After Odin, however, his activity as animator dropped steeply. His last involvement was Yamato Resurrection in 2009. Takahashi has had few major involvements, but did animation work for a wide variety of studios after Odin. He helped with key animation on popular shows such as City Hunter and Evangelion before returning to do character designs for Yamato Resurrection. He has been quiet ever since. Geki Katsumata – Did art direction for The Humanoid, Elf Seventeen, and Violence Jack among other projects for the remainder of the 80s. Was involved with several decent shows such as Salaryman Kintaro. His last involvement was a very minor assistance role in the noitaminA series [C] – Money of Soul and Possibility. Kazuo Kasahara – One of Yamato’s scriptwriters before getting dragged out of the Leijivese by Nishizaki to do Odin. His only other involvement since then was the 90s anime adaptation of Romance of the Three Kingdoms. Eiichi Yamamoto – After Odin, signed on as supervisor for Urotsukidōji. Directed a short 2-episode OVA titled Izumo in 1991. Last involved with Yamato Resurrection as an associate producer. A follower of Nishizaki to the bitter end. Takeshi Shirato – The same year as Odin, Shirato directed the movie of Gegege no Kitarou. Throughout the late 80s and 90s, Shirato directed a number of one-shot OVAs and specials. He signed on to direct Yamato 2520 before the project fell through due to studio bankruptcy. He was last involved with Yamato Resurrection as its chief director. Tomohara Katsumata – Seeking solace from having been producer of Odin, Katsumata ended up working on Heartcatch Precure. Toshio Masuda – Famous director Toshio Masuda was a key figure during the original run of Space Battleship Yamato, acting as series supervisor and occasional director. After Odin, he supervised the Sangokushi movie trilogy along with Kazuo Kasahara. Soon after, Masuda returned to the Nishiverse as supervisor for Yamato 2520 while it lasted. His latest work involves chief supervision for Yamato Resurrection. Yoshinobu Nishizaki – Life after Odin was not kind to its original creator. Yoshinobu Nishizaki’s only major work for the remainder of the 1980s was Urotsukidōji, also known as Legend of the Overfiend. The film unleashed the producer’s fury among the innocent American public and has since been regarded as a cult classic. Nishizaki, however, was not satisfied. In the 1990s, he tried desperately to revive his former glory by directing Yamato 2520, a sequel of sorts set several hundred years after the events in Space Battleship Yamato. Before it could be released in its entirety however, Nishizaki was sued by Leiji Matsumoto for breach of copyright. Not long after, Nishizaki declared bankruptcy. Nishizaki has since had several run-ins with the law. In 1997, he was arrested after police found 9 grams of marijuana and 7 grams of morphine in his brief case. In January of 1999, Nishizaki was arrested for possession of smuggled firearms including an M16 rifle, an M203 grenade launcher, and a Glock 17. In February the same year, he was again arrested and sentenced to 2 years in prison. This time for possession of 20 grams of stimulants, 2 automatic assault rifles, 1,800 bullets, and 30 howitzer shells. He was released from prison in December of 2007. Misfortune befell Nishizaki one afternoon as he suffered a heart attack and fell overboard his research steamboat Yamato. He drowned to death on November 7th 2010, a tragic end considering the live-action Yamato movie premiere was only a month away. Defiant till the day he died, Nishizaki simply could not forget the past. Here was a man whom we never truly understood and sadly never will. They say that once every now and then, on a misty night, one can see Ghost Pirate Captain Nishizaki sailing the seas. Still wandering off into the distant boundary waters of Ogasawara bay. Commanding his beloved Starlight, newly fitted with bow-mounted Howitzer cannons. Still searching for his one true love. 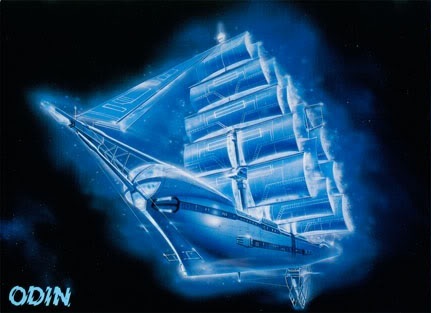 This entry was posted in Random and tagged Ghost Pirate Captain Nishizaki, Howitzer, Loudness, Odin, Space Battleship Yamato, Toshio Masuda. Bookmark the permalink. 1 Response to The Staff of Odin: Where Are They Now? I have to say, that last bit about Nishizaki was truly well done. You have made my week.